Quality men's health care: a Los Angeles doctor search. PRIMARY CARE: ...OUR HOLLYWOOD OFFICE PROVIDES AN ARRAY OF DIAGNOSTIC AND GENERAL MEDICAL SCREENING SERVICES, IN-OFFICE INFUSIONS AND ANTIBIOTIC TREATMENTS AS WELL AS VARIOUS OUT-PATIENT, MINOR SURGICAL AND DERMATOLOGIC PROCEDURES. IN-PATIENT CARE: ...DR. SAMPSON AND AFFILIATES MANAGE THE IN-PATIENT & INTENSIVE CARE NEEDS OF OUR CLIENTS AT ONE OF SEVERAL MAJOR MEDICAL CENTERS IN LOS ANGELES. SPECIALTY CARE: ...AS AN AAHIVM CERTIFIED HIV SPECIALIST, DR. SAMPSON PROVIDES COMPREHENSIVE CARE FOR OUR HIV + CLIENTS. ...ARE YOU NEW TO LOS ANGELES OR IN A DOCTOR SEARCH FOR A PRIMARY CARE PHYSICIAN? ...DO YOU HAVE QUESTIONS OR CONCERNS RELATING TO MEN'S HEALTH, TRAVEL MEDICINE OR HIV? ...ARE YOU INTERESTED IN A SMALL PRACTICE, WHERE STAFF MEMBERS KNOW CLIENTS BY THEIR NAMES RATHER THAN CHART NUMBERS? ...WOULD YOU LIKE TO HAVE A PERSONAL PHYSICIAN WHO IS SENSITIVE TO THE HEALTH CARE NEEDS OF THE LGBTQ COMMUNITY? ...ARE YOU IN A DOCTOR SEARCH FOR AN HIV SPECIALIST WHO WILL ALSO SERVE AS ONE'S PRIMARY CARE PHYSICIAN? ...WOULD YOU LIKE TO START OR CONTINUE PrEP (HIV PREVENTION WITH A DAILY PILL)? 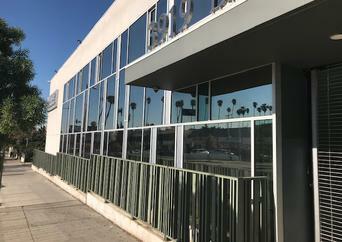 THE SAME EAST HOLLYWOOD AREA AND PHONE NUMBER BUT NEW SUITE!